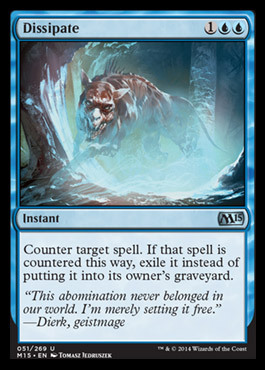 Counter target creature or planeswalker spell. 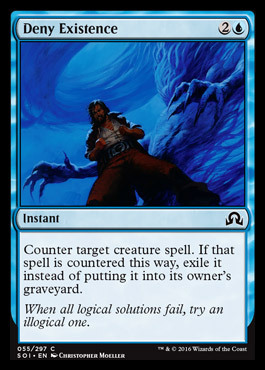 If that spell is countered this way, exile it instead of putting it into its owner's graveyard. 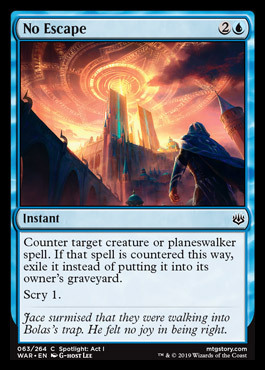 Jace surmised that they were walking into Bolas's trap. He felt no joy in being right.